Sandra BEER c/o kombinatrotweiss-illustration worked alone in her studio for a while to develop her style. 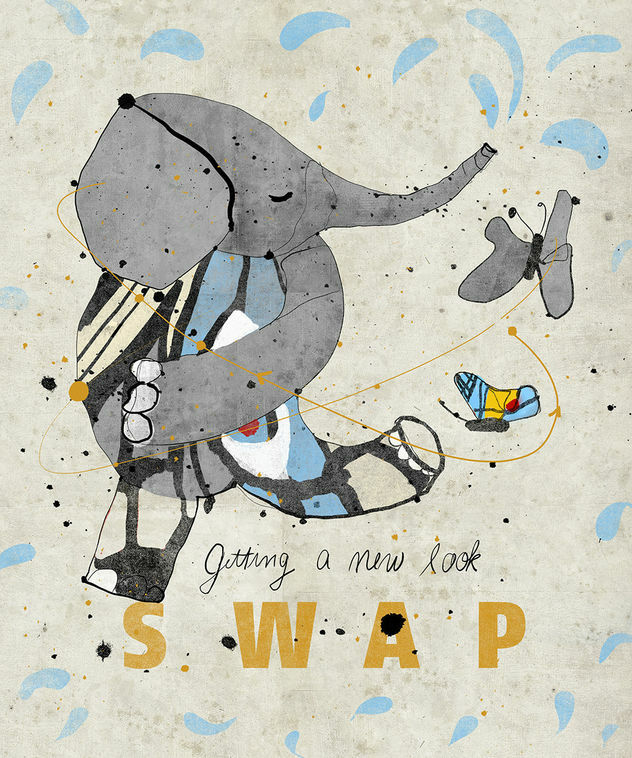 She dedicated her work to the topic of sustainability and developed a poster series presenting the topic "swap your clothes instead of buying new ones". 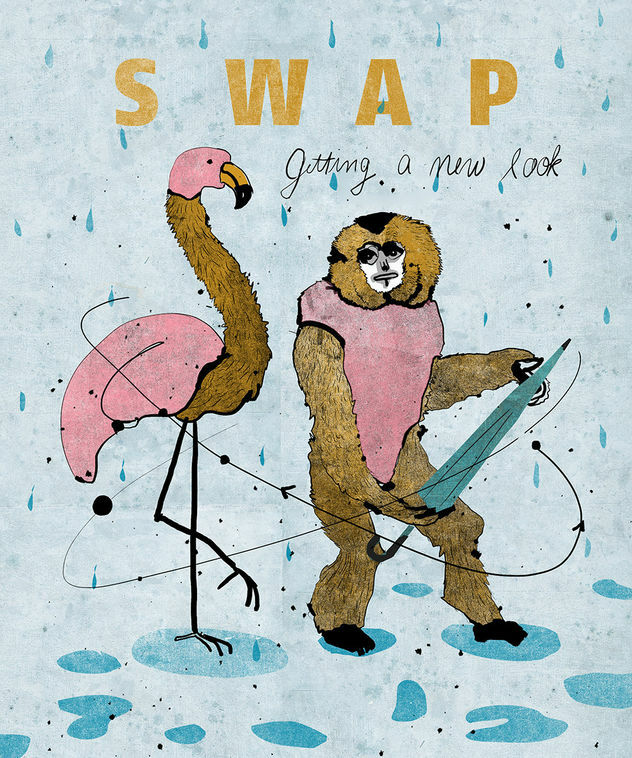 With lovable animal characters who swap their feathers and fur to take on a different role and change their own perspective. 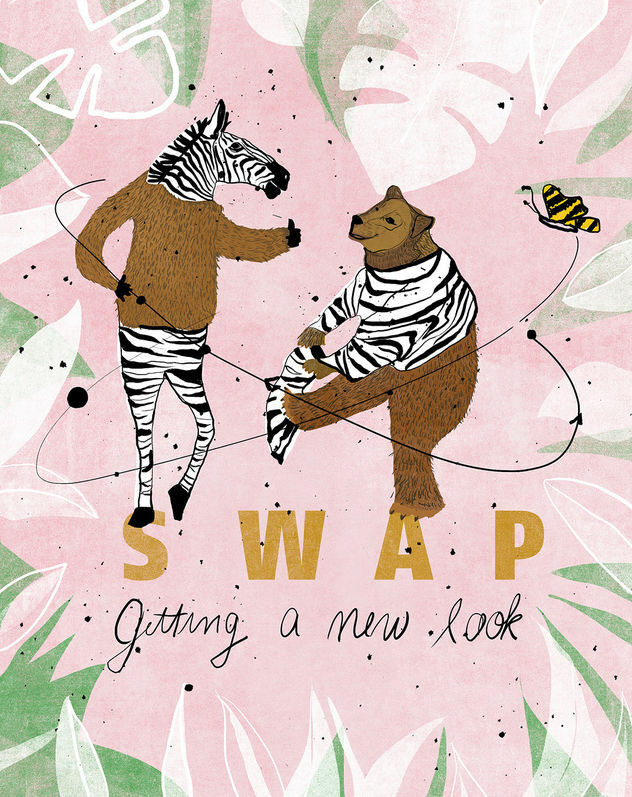 The title "get a new look" in this context also depicts the process of her latest work in a symbolic way.